Welcome Spring with a Burst of Color! Bloom Time: Late winter to mid spring. Chase away the winter blues with this colorful mix of lavender, white, yellow, pink, red or green. 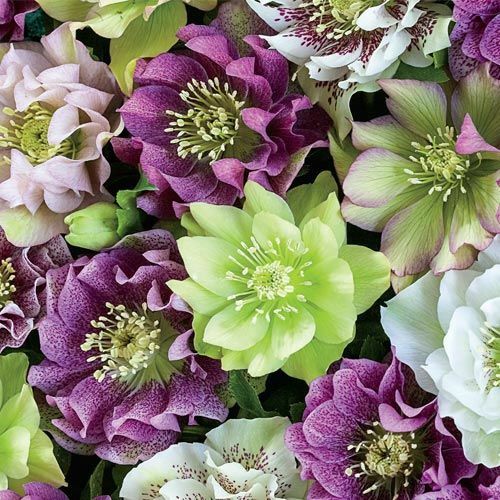 The cup-shaped, nodding double and anemone blooms are stunning. And, the evergreen, glossy foliage provides a complementary backdrop. 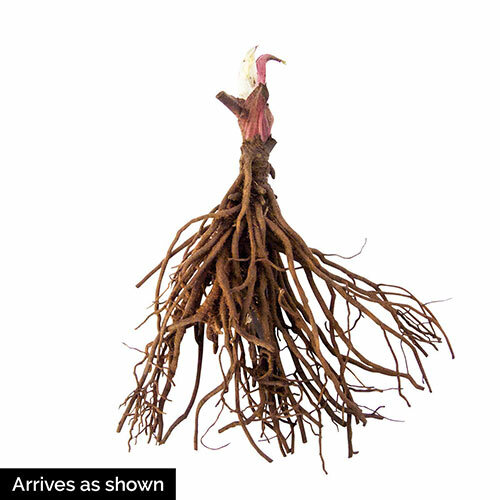 These are ideal for planting under trees, on the north side of buildings and in woodland areas. Foliage TypeEvergreen, glossy leaves that are leathery and palmately divided. Bloom TimeLate winter to mid spring. 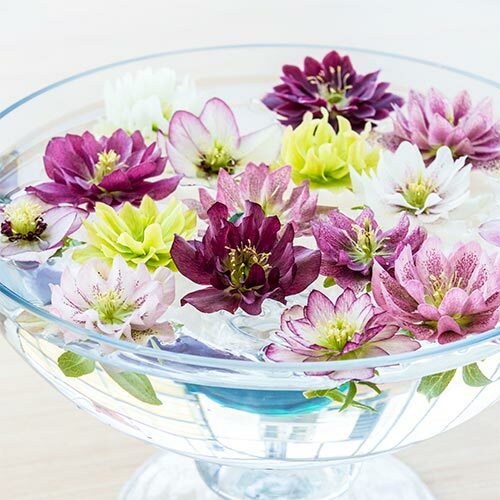 Flower Form2 1/2 - 4" cup shaped, nodding double and anemone blooms. Soil RequirementsWell drained, humus enriched soil that is moisture retentive. Winter CarePrefers sheltered area out of wind and harsh sun. Needs adequate moisture year round.